It must be said that the development momentum of laser cutting machines in recent years is indeed rapid. As the “darling” of metal processing in the new era, the laser cutting machine can be said to be the product of modern science and technology. It replaces the traditional mechanical knife with “beam” and easily solves the troubles caused by traditional processing methods. It is a more efficient and high-quality processing method. In 2019, many manufacturers of large-scale laser cutting machines emerged. With the rapid development of the equipment manufacturing industry, CNC laser cutting machine equipment has entered a period of rapid growth with an annual growth rate of more than 30%. Along with this, various laser cutting machine brands have sprung up. The competition among laser cutting machine manufacturers is more fierce. I believe that many people will be troubled by the choice when purchasing a laser cutting machine. There is a need for flat sheet cutting, there is a need to do three-dimensional automotive interior parts or three-dimensional kitchen processing, as well as the need for professional cutting of pipe. In short, different industries have different requirements for laser cutting. But most people still believe in the brand effect when they buy. So what are the outstanding laser cutting machine manufacturers in today’s mature laser cutting technology? Today we will take a look at the top 15 brands of laser cutting machines in 2019. 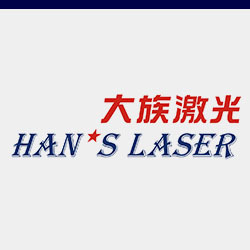 Han’s Laser was founded in 1996 in Shenzhen, China. Since its inception, it has always maintained a very strong competitiveness. 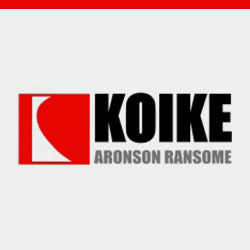 The company is strong and claims to be one of the most globally competitive brands in the laser equipment industry. It has several subsidiaries selling laser cutting machine equipment. The company has strong research and development strength, has a research and development team of hundreds of people, and has a number of international invention patents and domestic patents, computer software copyrights. 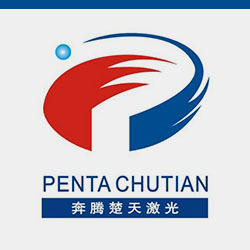 The company was listed on the Shenzhen Stock Exchange in 2004 and currently employs more than 10,000 people worldwide and has total assets of over 7 billion yuan. Wuhan Huagong Laser Engineering Co., Ltd. owns two brands: Huagong Laser and FARLEY LASERLAB. Huagong Laser was established in 1993. Its leading products cover laser marking, laser welding systems, laser cutting and other laser processing equipment and plasma cutting equipment. They are widely used in iron and steel metallurgy, non-ferrous metals, automobiles and parts, aerospace, military electronics, precision instrumentation, machinery manufacturing, molds, hardware tools, integrated circuits, semiconductor manufacturing, solar energy, education, communication and measurement, packaging, shoes leather, plastics, jewellery, craft gifts, medical equipment and other industries contribute to the improvement of the world’s equipment manufacturing level. Wuhan Chutian Laser (Group) Co., Ltd. was established in Wuhan in 1985. It is the core enterprise of Wuhan-China Optics Valley and employs more than 1,000 people. In the past 30 years since its establishment, the development of Chutian Laser has attracted the attention of leaders at home and abroad. 22 party and state leaders and 5 foreign leaders came to Chutian Laser. The company is a “Shenzhou six aerospace engineering meritorious unit”, and also equip for the “Shenzhou-7” and “Shenzhou-8” spacecraft. From Shenzhou-1 to Shenzhou-8, Chutian Laser is the designated laser application service provider. It has the most national parents in the Chinese laser industry with more than 400. Industry sectors include aerospace, aviation, electronics, health, metallurgy, culture, etc. Its laser products related to laser welding, laser marking, laser cutting, laser drilling, laser heat treatment, laser resistance and so on. It is also a full-scale laser manufacturer. 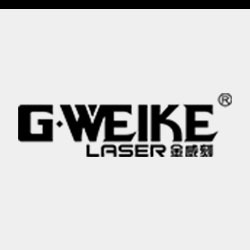 As the leading manufacturer of laser intelligent application equipment in China’s North, Jinan G. Weike has been leading the innovation and upgrading of laser equipment, providing laser intelligent equipment to users around the world. Since its establishment in 2004, it has always adhered to the business philosophy of “Technology Set Enterprise, Quality First”, taking customers as the center and taking every detail of R&D and production to ensure the performance and quality of each device in more than 100 countries. 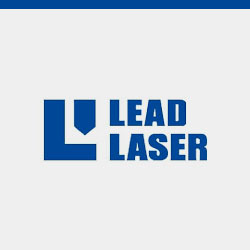 Leading Laser is also focusing on R&D, manufacturing and sales of high-power laser processing equipment. High laser power is also the embodiment of the company’s strength. But as mentioned before, the high laser power means high cost. It is the first batch of high-tech enterprises introduced in high-tech development zones. 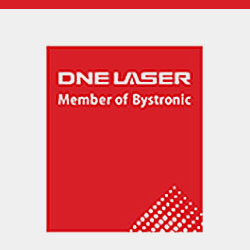 Bystronic DNE was founded in Shenzhen. After years of professional research and development, production and sales of metal laser cutting machines, it has huge market influence, unique service charm and market share in the field of laser cutting machines in China. Widely used in electric power, automobile manufacturing, machinery and equipment, electrical equipment, hotel kitchen equipment, elevator equipment, advertising signs, car decoration, sheet metal production, precision parts, hardware products and other industries. 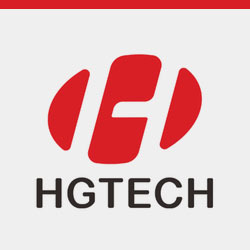 Foshan HSG Laser is a high-tech enterprise dedicated to providing laser intelligent equipment solutions for global users. It has always focused on the field of laser intelligent equipment manufacturing and upholds the concept of efficient, intelligent, environmentally friendly and compatible product development. 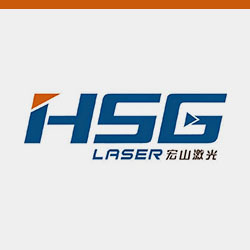 Since its establishment in 2006, HSG Laser has developed rapidly and has four standardized intelligent equipment manufacturing bases with a total area of over 40,000 square meters. Flexible manufacturing and digital hierarchical management in the fields of laser robots, multi-axis linkage professional cutting tubes, and precision welding intelligent automatic production lines. HSG Laser Intelligent Equipment has been operating stably in more than 100 countries and regions around the world. It has a wide range of benchmark customers in precision instruments, auto parts, kitchen and bathroom hardware, electronic and electrical, smart home and other industries. It has a professional independent core R&D team and a well-established after-sales technical support department, which truly provide the customer-centric service experience. 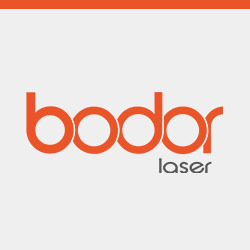 Jinan Bodor Laser was established in the year of 2008. Bond Laser adheres to the brand development strategy from the perspective of the last enterprise, and attaches importance to human cultivation and product innovation. 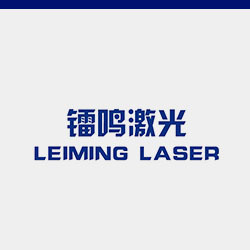 Shandong Leiming Laser is committed to the development, manufacture and sales of fiber laser cutting machines. The products cover the full power series of fiber laser cutting series, laser processing and welding equipment and cleaning equipment, etc. The laser cutting machines are used in steel metallurgy, non-ferrous metals, automotive industry, aerospace, military electronics, precision instrumentation, machinery manufacturing, hardware tools, integrated circuits, solar energy etc. 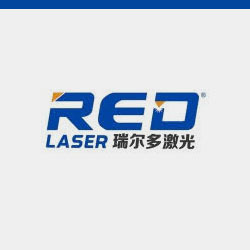 The company is headquartered in Wuhan Optics Valley, which is a non-standard automated laser equipment manufacturer integrating plane laser cutting, pipe laser cutting, three-dimensional metal & non-metal laser cutting and welding, laser cleaning and robotic automatic bending machine. At present, it has a number of invention patents, and is a laser company with relatively good after-sales service. There are resident offices everywhere, and the service response time is short. In short, from the current laser cutting machine industry market, the top 10 laser cutting machine manufacturers in China are listed above. Let us wait and see if there is any change in the future under such great competitiveness! Let’s see the advantages and disadvantages of the laser cutting machine manufactured by the above brands. The structure of the desktop laser cutting machine manufactured by Trumpf and Bystronic is based on the CNC punch machine and shearing machine. The advantage is that it is advantageous when cutting steel plates under 6mm, and the cutting speed and moving speed are relatively fast. But the shortcoming is that the work surface is small, generally 1.5*3 meters or 2*4 meters. If you cut a 6-meter or 9-meter long plate, you must cut the steel plate into several parts and then cut it on the laser cutting machine, which reduces productivity and material usage. 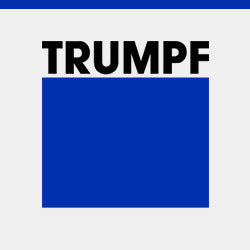 If the product materials are relatively single and in large quantities, TRUMPF is a good choice. The replacement of cutting head and the cleaning of the cutting lens is very convenient, but its manual operation function is not very easy to use. 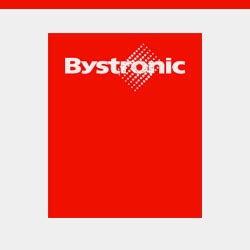 In the manual operation, the Bystronic can be said to be a better one. The processing parameter adjustment is more dummy. Relatively speaking, the average operator may prefer. However, the manual adjustment method is not rich enough (for materials such as hot-rolled sheets whose quality is not very stable). TANAKA and Koike specialize in gantry type large table structure laser cutting machine. For example, a 3*9 or 2*6 meter metal plate can be placed directly on the workbench for cutting. The disadvantage is that since the laser generator is moving together with the machine, so it is very heavy, and when cutting a thin plate of 3 mm or less, the speed is far less than that of the desktop laser cutting machine. 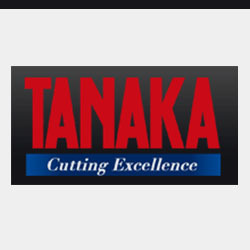 The Japan’s TANAKA laser cutting machine is featured in cutting thick plate which can reach 30mm. It’s mainly used in structural parts processing. There are almost no opponents in the processing of large workpieces and thick plates. 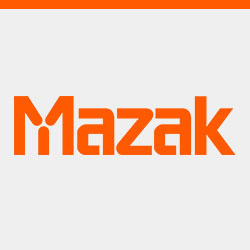 The world’s most intelligent laser machine is Mazak’s, not only can cut 3D workpieces, but also special profile cutting and software. At the same time, it is equipped with devices, which can be tapped and chamfered after laser cutting.